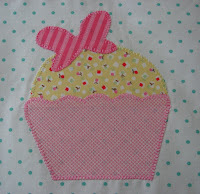 I know, this is where you're expecting to see a picture of my cupcake quilt. Me too! I did some machine quilting but I'm all intimidated now by the amazing feathers Amy has come up with. And not only that, but now she's got cupcakes. Mine seem to pale in comparison. Cupcakes also popped up over here. It's a whole different kind of cupcake but still just as tasty. So mine with it's little Plain Jane border will get finished tomorrow. I have the binding all made, just need to slap it on. I need to get that little treat in the mail to Frankie. She's going to get her tree up soon and will need a little something under it. And hurry quick, there still might be time to get in on Elizabeth's give away. She's drawing on Friday but we don't know what time!! Hurry hurry. The little purse is cute. Ok, next time back with photos. Have a happy weekend! Monday when I got home from work, it looked like my mom had been there. I figured she' d been on my side of town, motivated by the bag of persimmons my neighbor had left for her and the chance to play with Peep and Rocket. It was probably a good forty-five minutes before I found the gift bag on my chair with this note on it. I think I'm like a lot of people, women for sure and MOMS a lot.. but I'll gladly buy something luxurious and spendy for the people I love but hardly ever indulge myself. Ok, I guess it's no secret I'm weird, why do I try to hide it? 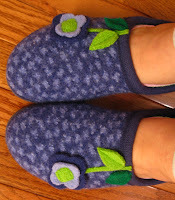 But boiled wool slippers are so wonderful that I have always treated my mom to these but never would indulge myself. I look at the Garnet Hill catalog each year and think oh, look how cute this years version are!!! I've bought my mom several pairs over the years, and she lovingly takes care of them, and I know she wears them every day. I don't know which was sweeter, the note or the slippers. My mom is the greatest. Out and about. I'm crazy over some things I've seen on people's blogs lately. I know it's weird, but sometimes I just want to see all that stuff.. I don't need to own it. I usually don't feel that obsession to track stuff down but lately.. YIKES. Ok, yeah, I'm right, weird. These are some things that I'm positively nuts over! 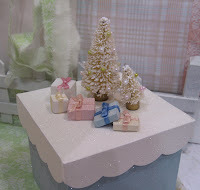 Sarah had a tutorial on bleaching and dyeing little Christmas trees. Now I don't even put out that much Christmas stuff but you know I'm totally wanting to try my hand at this. Here's someone else following her instructions and showing off her results! Sarah mentions Kmart trees so you know even though it's a cross country trek, I've been to Kmart. Saw some love for the Kmart Martha here... boy Martha had a lot of pink and green goodness that made me crazy today. I knew it was there, I saw it here. 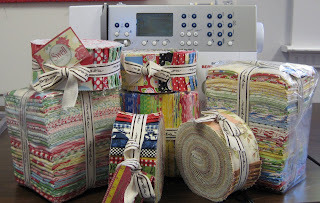 Vicki over at Hollyhocks has shown some Joann's love. And she's confessed to a little Joann's shop hopping. I've hopped from my local Joann's to the Super Joann's and didn't find all the delectable things she did, like that SCOTTIE FABRIC. But I enjoyed the trip and found some really pretty home dec weight fabric so I'm happy about that. ThimbleAnna is posting about some candy she received. I need some of those fancy Junior Mints. Seriously. Where can I get those? Ok enough about me and my crazy ways. Here's some pals who are blogging it up now. You know how much I love Jackie. 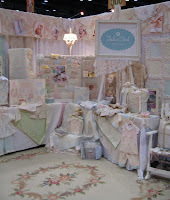 Her blog is going to be a thing of beauty and creativity, just like her booth. I hope to see lot about her and her darling sis Tamara the Cro-Genius soon. Next stop, Kris! She's a friend of two wonderful people I know, Karen and Sharon. She's got a cute shop in southern California and I hope to get a chance to see it sometime soon! Last but by no means least, is the girls at the Quilter's Inn! Jane and her crew are going to keep us up-to-date on what's going on at that great shop in Danville we love. Just stopped in there today and she's got some tricks up her sleeve! So that's my day little chickadees. I hope you had a good one. 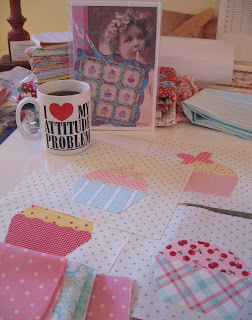 My cupcake quilt top is done and I can't wait to get a photo tomorrow. 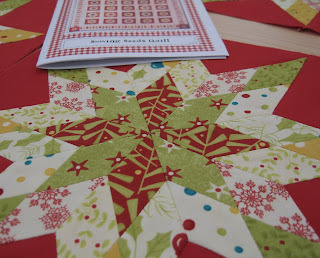 I really want to get machine quilting on it, it's almost December. Good morning my sweet peeps! The long weekend is over and everyone is back to the grind. Well I am anyway. No long weekends for my people here, Bret was back at work Friday. Here's one of my cupcakes all stitched up. They're so darn cute I can't stand it. I had questions about thread colors yesterday, so I thought I'd show off a blanket stitched block. I had to set this aside to work on finishing a TOP SECRET project for Holly. She'll be sharing more pictures in a week or so, so stay tuned! My reference to the 1260 brought up some questions, so here it is!! 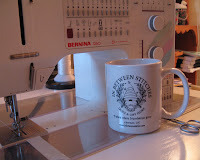 It was in the shop for the past 3 weeks, my local Bernina people sent it back to Bernina in Chicago. I have another machine but my heart belongs to this one. And my oh my is it ever running well. I did a lot of sewing this weekend and it's a pleasure to work on it. Another question that came up was Who's Frankie? Frankie is my ever so delightful now 20 year old daughter! Here's a recent shot of us Myspace style on an outing in Alameda at the antiques fair. She's off at her third year in college so we miss her tons! And here's a sneak peak of what's to come! I love this cute apple corduroy. I can't wait to cut into it. It's up next after I get the cupcakes ready to mail off! As for Etsy, its a place to buy and sell things handmade. Check it out! So that's that my friends.. I'm off to work today. We have a ton of new things in the shop, and I can't wait to see what was in the boxes in back unopened last week! See you later alligators. p.s. 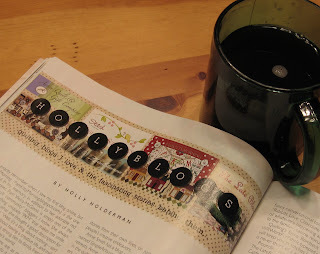 the contest for magazine photos is still open over at Holly's, check it out! I'm enjoying some casual sewing lately. 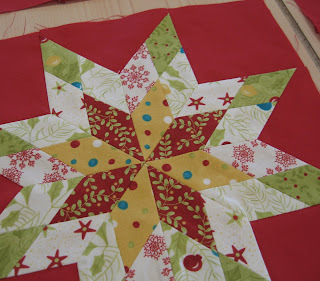 When I saw Sandy's pattern for this darling cupcake quilt, I knew I'd have to make a small version for Frankie's Christmas tree. Nevermind that I've never made anything for our own. But its cupcakey goodness called out to me. 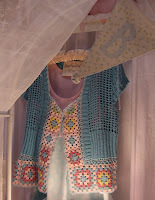 In a very pretty pastel way. Blanket stitching is in my future! 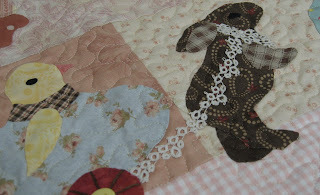 I love blanket stitching, so mindless really, just sewing and sewing. Have a wonderful day my friends. The 1260 is in the house. I feel better now. And you can read all about it here! And here! You just might recognize a few of your blogging friends in there!!! Check Holly's blog for the complete list, who knows who you might be missing out on! Yes, it's true, my head might just blow off in the excitement of it all! Thanks Holly for including me! What are you all up to today my peeps? Shopping? I saw the Kohl's ad, they're starting at FOUR A.M. ???? That's just crazy talk in my mind. Here's our friend Linda again, and she's looking pretty pleased with herself! And she should be, look at that quilt. 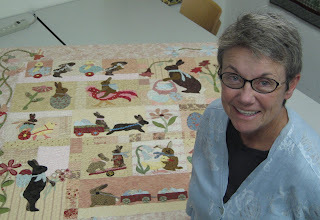 It's Anne Sutton's Rabbits Prefer Chocolate and Linda made it for her granddaughter Hannah. 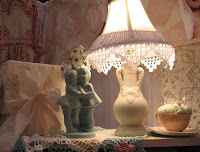 It's a wonderful heirloom made with love and it includes some tatting by Linda's grandmother Flora Selton. Happy Black Friday Linda, take a load off, you deserve the rest! And to all you out there looking for holiday bargains GOOD LUCK!!!! Just got this in the mail yesterday, is it not the prettiest thing you've ever seen? Robin, of Paris Bebe fame sent it to me. I love Robin's fabrics, and you can see here where I have them all spread out, they're wonderful. 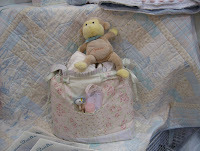 You can read more about Robin and Paris Bebe fabrics over on The Fat Quarter Shop Blog. I've purposely opened my bundle so now there's NO EXCUSE for not getting in there and using them! I have that tendency to hoard things that are pretty, I mean I might not be able to get them again. But I'm working on kicking the habit, starting with this pile! Thanks Robin! My friend Sherry the Quilting Bon Vivant dropped into the shop to see if she could grab some of this holiday fabric and to completely blow my mind with these stars. They're from an American Jane pattern by Sandy Klop. 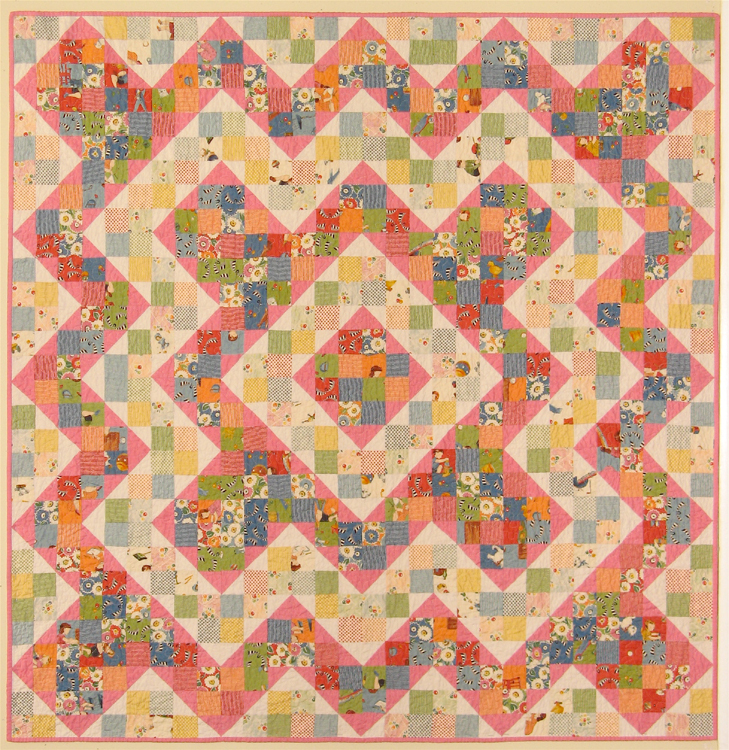 Oh jeez, I just went and looked at her site, and she has some amazing patterns there, along with the Sowing Seeds quilt Sherry's making. 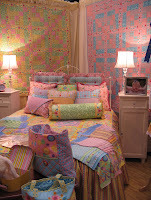 Why didn't I see these quilts at market? Did I just walk by waving on input overload? Check out this pattern!!! It comes in a kit!!! Wow. Just wow. Sherry modestly said there are places that don't match up. That's when I turned and pinched her. No just kidding. I wouldn't pinch anyone. Intentionally. Ok, more updates on things I'm actually sewing on soon. It's a busy weekend around here, so if I don't get right back it's because someone is turning TWENTY come Monday! So have a happy weekend my peoples. Next week we'll all be talking turkey. I have another sewing machine. Yeah you can see it's a nice one. I don't know why I let that spot in my table sit empty so long, since its not like I'm forcing myself to use a crappy machine. The truth is though, I don't use this machine enough to really 'know it'. And besides, it's the machine THAT SEWED THROUGH MY FINGER. I know. I KNOW. 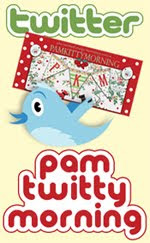 How can you sew through your finger Pam? I've been sewing for hmm, what, 45 years? I used to laugh and clearly, tempt fate by doing so, at people who were so silly as to sew through their fingers. Right up until the day I was free motion quilting and yeah, right through my index finger. 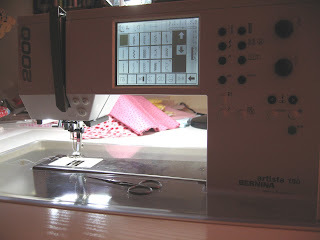 It just sews differently than my 1260 and the foot pedal works differently. AND IT SMELLS MY FEAR. Weird huh? So my advice, don't turn your back on your sewing machine. I'm hoping you're all having a good week. I want to thank Roseann of many hats for the shout out on the Olfa Newsletter this quarter. She talks about blogs and gives some recommendations. I'm thrilled she added me to her list. 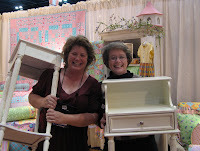 So check it out, and check out my links for Roseann, she's someone you probably already know over at American Patchwork and Quilting. 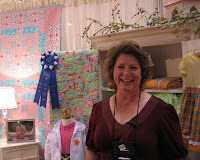 She's the go-to quilter for the Club! And I'm thrilled to say she's also my friend! So the other day, Elizabeth and I made plans to head over to Niles, she wanted some more crochet trim, she'd used hers all up on her Vintage Christmas ornaments. I went and got her, then, since I needed to head south, I hopped on the freeway thinking we'd go down a few exits and cross over on 84. As usual, 580 West was moving at a brisk pace, with a lot of trucks around us. I noticed some big chunks of tire coming from somewhere ahead but my vision was blocked by a big semi. 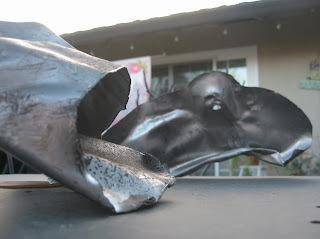 I moved to the right lane, just minding my own business when across the freeway a big piece of metal comes cartwheeling, in slow motion almost. Yeah, right till it ground to a halt UNDER MY CAR. Yup, totally crammed. We obviously pulled over and could not pry it out. 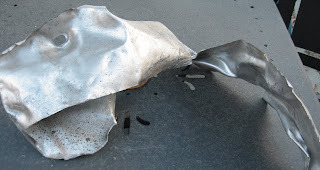 Luckily the hero of the day Eric, Elizabeth's oldest son, came and pulled it out for us. And not without considerable trouble. There's some damage, so we switched cars and took Bret's over to Niles. Having that 'extra' car now is really paying off. Even ugly hunks of metal can't stop us, we're a force to be reckoned with. On a lighter note.. I have some projects on my table. Unfortunately, something's missing. 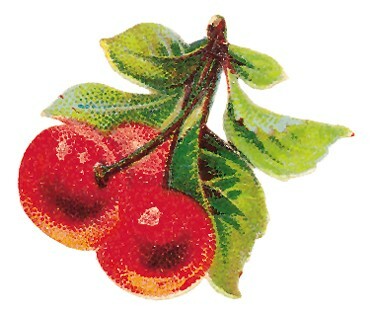 Ok, peeps, I'm off to Michael's today to see that amazing Martha Stewart stuff I've been reading about. Frankie and I are planning a craft fest and I need supplies. Have a wonderful day!! Its seems like lately I haven't really run the streets (as my mother would say) with Sandy or Elizabeth, too much market preparation going on. But right after market Elizabeth needed to head up to The Quilter's Inn in Danville with a delivery of patterns so I said I'd drive. Jane has a nice shop there, and rumor has it she carries the most Westminster this side of the Rockies!! I wouldn't doubt it. She had just a few minutes to chat with us and she showed us what she's got coming.. check out the Urban Chiks fabric Swell (did you know I know the Urban Chiks?) (sorry) and she's got Mary Engelbreit fabric coming, and there's some Fig Tree and also some of Sandy Klops new fabric. YUMMY.. all of it. She's got it all displayed to get her customers in the mood, sharing her post market enthusiasm. And imagine my delight running into Sandy and Shirley next door at the antique shop. I have got to get back over to Sandy's, she's working on so many new and wonderful things and she's promised to help me get started in them too. 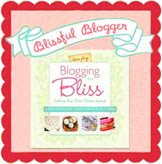 All right my sweet bloggy peeps. If you're so inclined, click on the little H2 heart button and head over to Holly's to check out what she's got going on!! I'm giddy over it. Julie was able to spend the last day with us at market. She's a delight and I really enjoy hanging out with her. She came bearing energy drinks and she's full of energy herself so its just fun to be with her! She was super about taking us to Jax, OHMYGOSH how I love that place. 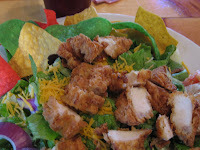 I don't know what about that salad makes it so darn good, but yum it was everything I could have hoped for. Thanks Julie for taking me back!!! She also took us for a ride through a fun neighborhood and maybe next year we'll head there for some shopping and house looking. The neighborhood was charming and of course NOT FAR FROM JAX. I did find a few fun things at Market!!! I got the wonderful charm packs from Holly at sample spree. 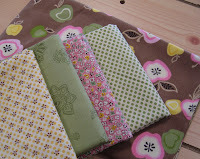 I also picked up the pack from Lecien, that fabric is wonderful and I can't wait to use it. 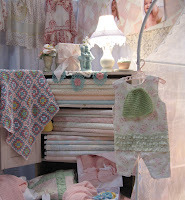 They are from the Antique Flower in Pastel line. I also found some really nice trim at Dusty's Vintage, I hope to do some crochet with that. Tamara did some nice crochet with rick rack that I'm dying over. I keep looking at the photos I took hoping I can copy it, somehow. Which makes me wish I lived near her, the Cro-Genius! One thing I love that I picked up is my Dovo scissors. Nice scissors are a luxury that I've been treating myself to the last couple of years. I received a pair as a gift and since then I've been hooked. This is their 100 year anniversary, and I'm loving the little anniversary tag. Kind of goes with the cute Mary Engelbreit pot holder I got from the Moda girls across the hall. And in the back is the little floss needle threader from Clover that Cyndi scored for me. She is so sweet!. It was a really great trip and I had a lot of fun seeing old friends and meeting new ones. I can't thank Elizabeth for taking me with her and letting me be her Trusty Sidekick! 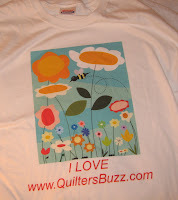 On a closing note, I received a fun little gift from Gina of Quilter's Buzz. Check out my I Love http://www.quiltersbuzz.com/ t-shirt! Gina had just a very few t-shirts to share and I made the list!!! The LIST people. Yeah me, I made it! 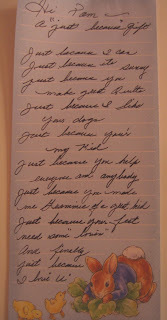 Gina has taken it to the NEXT LEVEL and suggests that I do the same. Ok Gina, I'm working on it! I'm not sure what the NEXT LEVEL is but I am interested in finding out!!! 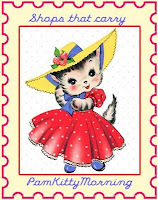 So that's the end of the market stuff, next stop, regular everyday Pamkittyness. I've been busy and I'm going to get busy. Taking it to the next level, whatever that is. Jackie and Tamara are the sweetest girls around. 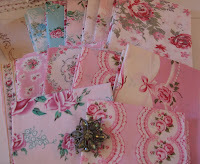 Jackie has a sweet line of fabric and she sent Elizabeth some to make some banners. 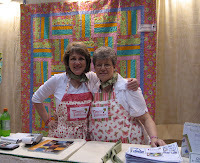 We got a little carried away and Elizabeth designed a cute quilt and I made a couple of bags for Jackie and Tamara. That's what got me going on the bag thing. Making something for a couple of friends, there's nothing more fun than that! Now to their booth. It was the greatest. 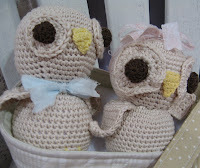 Here's some owls Tamara crocheted. They're so sweet, brother and sister owls! I was lucky that Tamara had some time to help me with my crochet issues. 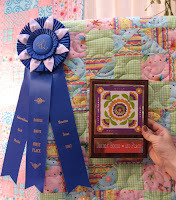 This is the quilt Elizabeth made, and the little bag I made. I love the little figurine of the two sweet sisters. All righty my friends. Next time my market loot and a little market follow up and then you're free of market. But for now I'm headed back to Alex's to finish up some work there. Have a lovely weekend dearies! 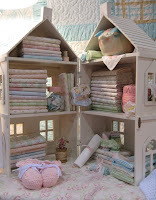 My friend Robin from Paris Bebe fabrics is having a give away over on her blog... you should check it out! 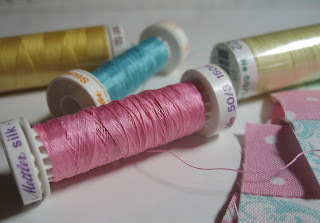 Her fabrics are so pretty and she's giving away a fat quarter bundle. I have had a busy week. Kid stuff to you really busy people, but to not-so-busy people like me it's been action filled. I've been helping Alex with some organizing over at her studio in preparation for her retreat this weekend. It's a treat to work in such a nice airy space with good light instead of over here at the dungeon. I'm not drinking the kool-aid for myself, but I am going to do a little folding and organizing over there. This weekend I plan on finishing up my market photos and getting back to business around the blog. Have a happy weekend my friends! 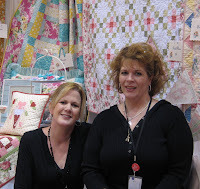 I have to say one of the friendships that I've made at market that I really cherish is the one I made with our friend Tammy Tadd. She is really a lovely person, inside and out. Everyone should know someone truly as nice as Tammy. Tammy has her own posse you know, Velda her mom and Sherry, her Trusty Sidekick. 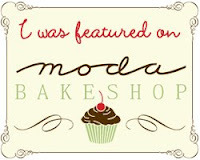 Sherry is the resident daredevil and seriously, if you want more cookies from the Moda booth, she's the one to ask. Because she'll get them for you. I'm just saying! 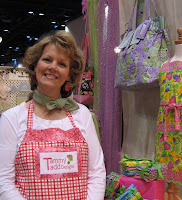 The Tammy Tadd Designs booth is always pretty and pink. And cheerful. 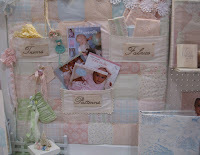 Here's Tammy's bestseller of the show, Patch Me if You Can. It's a darling bag made with charm squares or fat quarters. Tammy took us to a lovely dinner Saturday night. I had so much fun. You can see the photos over on Elizabeth's blog. That was the day I forgot my camera battery. I can't thank Tammy enough for the friendship she's extended to me! 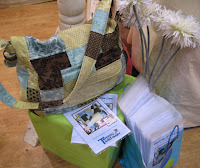 Thanks to everyone who commented about the bag patterns Elizabeth blogged about! I had fun making them! 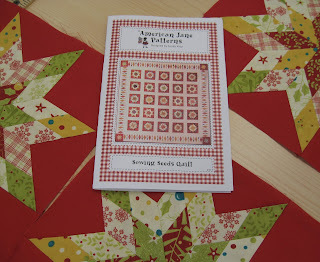 The shop has the patterns or you can order directly from Elizabeth. I appreciate the support and encouragement! La la la de dah, I have been sneezing my head off today. All the live long day. It's annoying, tomorrow I intend to take more meds than today, even though they render my my brain cells inert for hours on end. It was back to work after like a hundred years (or two weeks) and there was tons to see. Ohh its subtly Christmas there. YUM. I'm thrilled and horrified at the same time, because Christmas decorations means CHRISTMAS IS RIGHT AROUND THE CORNER. So lets not even think about it ok? 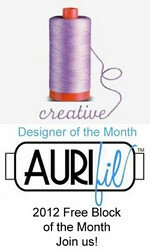 Lets think about the lovely Gerri Robinson from Planted Seed Designs. She's so very super nice, happy, cheery and friendly. 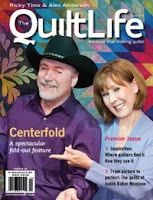 She's also in a magazine this month, McCalls Quick Quilts, check it out, page 46. We have other friends in that magazine this month as well, Cyndi and Jeree! Anyway, Gerri's booth won 1st Place Double Booth!!! I mean you can see why, it's super cute. We know Gerri's secret though, and so does everyone else on that bus ride on Friday morning. She and Jean, her Trusty Sidekick, stole all the furniture from their room. Nah, no they didn't, just kidding. But that is what she told me when we were getting on the bus and she and Jean were carrying furniture. She said it in that way that's TOTALLY HILARIOUS and I TOTALLY KNEW SHE WAS KIDDING, but I think some of the ladies on the bus were giving her the 'gimlet eye' as my mother would say. Here they are reenacting the crime. I LOVE THEM. Bee in my Bonnet Co.